There were six robberies. Ryan Tyler, 38, was one of four people arrested following the robbery of a chain food store at 7300 Pennway St. on March 23 involving a handgun. The other robberies took place on the street, happening at 6700 Roosevelt Blvd. (March 19), 1500 Unruh Ave. (March 27) and 500 E. Godfrey Ave. (March 28), all of which involved handguns, and 2400 Cottman Ave. (March 25) and 6800 Loretto Ave. (March 30), which did not involve weapons. There were 18 aggravated assaults, which resulted in nine arrests. Assaults that happened on the street and involved handguns happened at 600 Gilham St. (March 18, Raquel Carrasquillo, 28), twice at 5900 Belden St. (March 25), the intersection of Cottman Avenue and Bingham Street (March 25), 6000 Castor Ave. (March 25), 2000 Cottman Ave. (March 27, Sarde McKinnon, 26) and 700 Foulkrod St. Assaults on the street involving other weapons happened at 500 Allengrove St. (March 26, Jainath Maraj, 35), 2300 Cottman Ave. (March 29, Fahed M. Ghazyeh, 20) and the intersection of Magee and Castor avenues (March 30). There was also an assault on the street involving no weapon at 7300 Castor Ave. on March 31. Domestic assaults happened on the street at private residences at 300 Stevens St. (Jainath Maraj, 35), 2100 Unruh Ave. (March 28, Lawrence Willis, 61), 1200 Glenview St. (March 21, Claudio Dasilva, 41), 1100 Longshore Ave (March 28) and an assault at a public school at 1800 Cottman Ave. (March 22). There were five burglaries. Private residences were targeted at 1000 Napfle Ave. (March 22), 1200 Fanshawe St. (March 19) and 7100 Oakland St. (March 22). The others happened at an apartment house at 6500 Castor Ave. (March 27) and a restaurant at 6000 Castor Ave. (March 27). There were 46 thefts, which targeted 27 businesses, 10 vehicles, six street thefts, a private residence, a bicycle and a nursing/retirement home. Eleven arrests were made. In addition, 14 vehicles were reported stolen, nine of which have been recovered. There were no reported robberies. There were four aggravated assaults, which yielded two arrests. Abdallah Shtawi, 21, was arrested March 27 following an assault on the street at 10700 Bustleton Ave., and Aldrin Duran, 28, was arrested March 20 following a domestic assault in a residential garage at 14400 Bustleton Ave. The other assaults took place on the street at 10900 Bustleton Ave. (March 20), which involved a handgun, and an assault on the street at 2300 Benson St. (March 27), which did not involve a weapon. There were seven burglaries and one attempt, most of which targeted private residences. The private residences were located at 9500 Dungan Road (March 27), 800 Emerson St. (March 18), 2000 Grant Ave. (March 22), 10000 Ferndale St. (March 26), 1200 Norwalk Road (March 22) and an attempt at 800 Stanwood St. (March 19). Others took place at an apartment house at 10700 Haldeman Ave. on March 25, which resulted in the arrest of Anthony O’Connor, 29, and a storage facility at 1200 Byberry Road on March 28. There were 30 thefts, which targeted 13 businesses, 10 vehicles (including three stolen vehicle tags), two doctors offices, two apartment houses, two street thefts and an unspecified location. Eight arrests were made. In addition, seven vehicles were stolen, six of which have been recovered. There were four robberies. 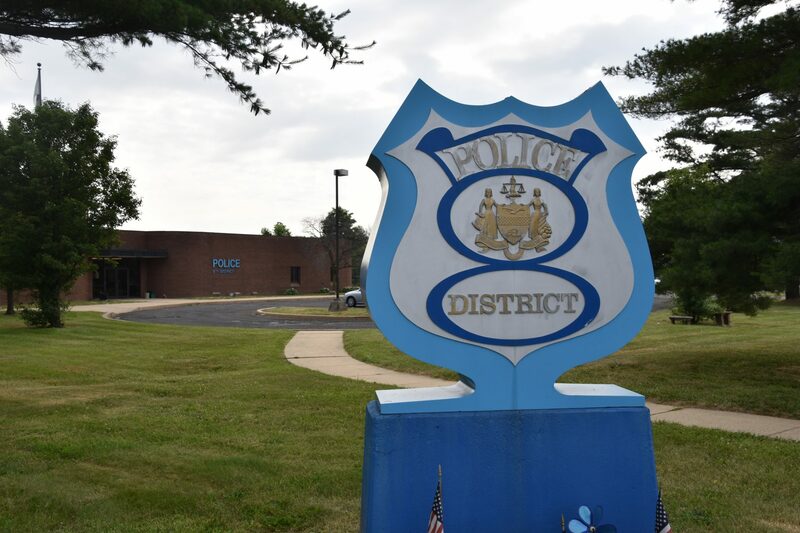 Three took place on the street at 8300 Frankford Ave. (March 19), which involved a handgun, and 2800 Welsh Road (March 30) and the intersection of Welsh Road and Winchester Avenue (March 30), which did not involve weapons. Tanika Hopkins, 44, was arrested March 27 after a robbery at an office building at 1600 Franklin Mills Circle. There were two aggravated assaults. Chadd Harris, 27, was arrested March 29 following a domestic assault at an apartment house at 2600 Welsh Road. There was also an assault on the street at 4200 Holmesburg Ave. on March 31. There were four burglaries and an attempt. Burglaries targeting apartment houses happened at 3200 Woodhaven Road (March 20) and 2700 Northview Road (March 26) and an attempt at 2700 Northview Road (March 19). Others targeted a private residence at 12300 Medford Road (March 22) and an unspecified location at 8000 Craig St. (March 30). There were 49 thefts, which targeted 28 businesses, 13 vehicles (including a stolen car phone and vehicle tag), two street thefts, two private residences, a hotel/motel, an office building, a doctor’s office and a parking lot/garage. Eleven arrests were made. In addition, 16 vehicles were reported stolen, nine of which have been recovered. Two arrests have been made. There were 14 robberies, most of which took place on the street. David Pace, 31, was arrested March 19 following a robbery on the street at 4700 Roosevelt Blvd. involving a weapon. Other robberies on the street took place at 5000 Oxford Ave. (March 23) and 6300 Ditman St. (March 26), both of which involved handguns; 4800 Oxford Ave. (March 19), which involved a knife; the intersection of Frankford Avenue and Bridge Street (March 22) and 4400 Edgemont St. (March 24), both of which involved weapons; and 4900 Torresdale Ave. (March 19), 5200 Frankford Ave. (March 22), twice at 1600 Bridge St. (March 22 and 25) and 1300 Pratt St. (March 22), all of which did not involve weapons. Other robberies took place at a vehicle parked at 4900 Rutland St. (March 21) involving a handgun and an unlisted location at 6400 Torresdale Ave. on March 25. John Nowak, 26, was arrested March 18 following the robbery of a private residence at 4200 Lansing St. There were 18 aggravated assaults, which yielded 11 arrests. Assaults on the street involving handguns took place at 2100 Wakeling St. (March 23), 7200 Glenloch St. (March 25, Damir Coller, 20 and Edwardo Palacio, 19), 4700 Benner St. (March 27) and 4500 Mulberry St. (March 28). Other assaults on the street happened at 6000 Hegerman St. (March 30), which involved a knife, 2000 Wakeling St. (March 22), which did not involve a weapon, and a domestic assault at 5200 Torresdale Ave. (March 28, Josh Reyes, 28). Assaults at private residences happened at 5000 Cottage St. (March 26, Bryheem Mann, 35), 5200 Akron St. (March 18, Darnell Hall, 38), 2000 Carver St. (March 21), 1600 Conklin St. (March 20, Anthony Maurice Taylor, 57), 4500 Unruh Ave. (March 29), 7100 Tulip St. (March 30), 7500 Battersby St. (March 24, Gerard Hastie, 64) and 4700 Darrah St. (March 24, Joshua Begley, 44). Other assaults happened at an apartment house at 4400 Paul St. (March 31, Rahiem Dean, 36), a public school at 1600 Unity St. (March 20, Alfonzo Hooks, 48) and a hospital at 4940 Frankford Ave. (March 31, Raheem Pallard, 33). There were 12 burglaries and one attempt. William Rojas, 43, was arrested March 26 following a burglary at a private residence at 4000 Bleigh Ave., and Ryan Beck, 19, was arrested March 24 following a burglary attempt at a private residence at 4300 Milnor St. Other burglaries targeted private residences at 4000 Benner St. (March 21), twice at 3300 Princeton Ave. (March 24), 4200 Stirling St. (March 25), 4200 Paul St. (March 28), 6000 Hegerman St. (March 29) and 4700 Ramona Ave. (March 31). Other burglaries targeted an apartment house at 3200 Glenview St. (March 21), a mini market at 1000 Foulkrod St. (March 28) and an unlisted location at 4200 Adams Ave. (March 19).